Growing up in Lewis County, Gina graduated from South Lewis Central School. She then attended Mohawk Valley Community College earning an Associates Degree in Banking and Insurance. She then went on to receive her Certificate in Dental Assisting from Monroe Community College. Gina has been with Advanced Dental Care since 1993. Starting as a dental assistant, then becoming an administrative assistant, working her way to Office Manager. Gina is committed to helping patients achieve overall health. She works closely with Dr. Pominville coordinating extensive treatment plans, helping patients achieve a healthy smile. Gina manages all business matters that include; accounts receivable, insurance processing and patient financing. Gina resides in Port Leyden, NY with her husband, David. They have two daughters. Ashley Schaefer, a 3rd Grade Teacher at Glenfield Elementary who lives in Lyons Falls with her husband Terry and their son's Jacob and twins Collin and Corbin. Danielle, a Respiratory Therapist lives in Croydon, New Hampshire with her fiance Kevin Bronson. Amanda has lived in Lowville, New York her entire life. She graduated from Lowville Academy and Central School (LACS) with her Regents Diploma in 2003. She worked at Agency Specialist Insurance as an insurance professional from 2003 to 2008. Amanda has been with us since July 2008, coming to us with a strong background of office work from the insurance business. Amanda will be one of the first team members to greet you at the front desk and one of the first you talk to when you call. She is in charge of marketing, website maintenance, lab cases, correspondences in/out and inventory control here at Advanced Dental Care. Some other responsibilities Amanda has are handling appointment coordination and confirmation, as well as check-in/out. She presents treatment to patients and schedules them accordingly. Amanda processes payments and submits insurance claims. She also assists the hygienists when needed. Amanda lives in Lowville with her husband Andrew, her two daughters; Riley and Addyson who both attend LACS, and their two sons 2-year-old Zane and Zaid; born on October 24, 2018; both attend Hand in Hand. Their family dog is a Doberman named Maverick! In her spare time, she enjoys watching football, traveling, spending time outdoors, ice skating in the winter and spending time with her family! Carrie grew up in Castorland, NY and graduated from Beaver River Central School in 1988. She attended Jefferson-Lewis BOCES where she graduated at the top of her class as a Cosmetologist. From 1988 to 2000 she worked as a Cosmetologist. In 2000 Carrie made a career change and worked as a dental assistant for Dr. Brady in Watertown, NY until 2002. Carrie then decided to further her dental education and attended Ononadaga Community College where she became a Registered Dental Hygienist; there Carrie graduated as valedictorian in 2004. Carrie also obtained her license to administer local anesthesia from Ononadaga Community College in 2004. 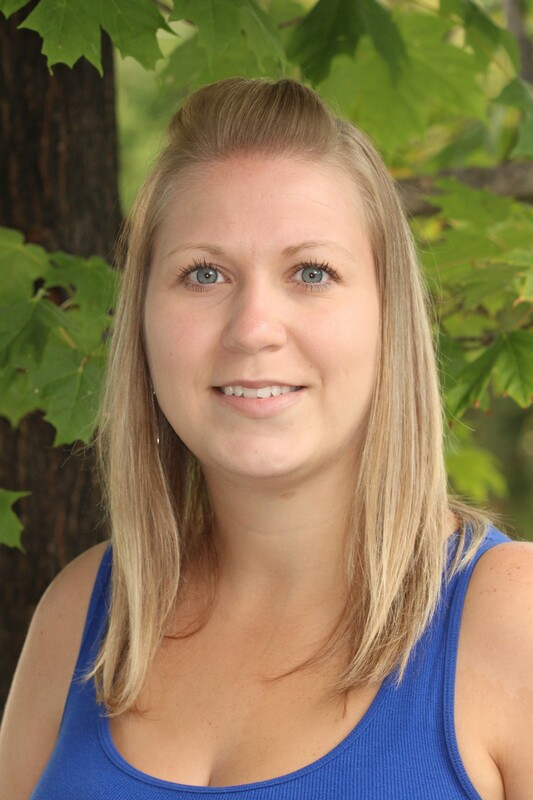 Carrie started working at Advanced Dental Care as a Registered Dental Hygienist in July 2004. She enjoys participating in the soft tissue management program. Carrie is a very focused and dedicated employee. Her connection with her patients makes them anxious to return and seek her excellent care. Carrie resides in Constableville, NY with her husband Tony and their daughter, Chloe who attends South Lewis Central School and their son, Chase who attends Glenfield Elementary. Tara grew up in West Leyden, NY and graduated from Adirondack Central School in 2002. She immediately enrolled at Ononadaga Community College where she pursued a degree in hygiene. She became a Registered Dental Hygienist in 2004. Tara also obtained her license to administer local anesthesia from Hudson Valley Community College in 2005. Tara started out working for Dr. Sears and Caruso in Boonville, NY full time and then came to us in August 2005. Tara is extremely caring and gentle with her patients. She plays a vital role in the soft tissue management program Dr. Pominville implements here at Advanced Dental Care. Tara enjoys keeping up with continuing education courses to maintain the complete overall health of her patients. Tara lives in Port Leyden, NY with her husband, Brandon and their two sons, 9-year-old Nolan and 7-year-old Brycen and their 5-year-old twin daughters, Adalyn and Braelyn. All four children attend Port Leyden Elementary School. Tara and her family enjoy camping and working on their hobby farm. Growing up in Lyons Falls, NY, Tammy graduated from South Lewis Central School. Starting out at Cazenovia College earning a Degree in Interior/Architectural Design, Tammy then pursued a different path to her new chosen profession, attending Cape Fear Community College in Wilmington, NC; Tammy became a Certified Dental Assistant (CDA). After attaining her CDA, she decided to expand her dental education and went to Dental Hygiene School at Hudson Valley Community College where she became a Registered Dental Hygienist (RDH). Tammy also obtained her license to administer local anesthesia from Hudson Valley Community College. Tammy came to us as a Dental Assistant. After leaving us for a short period, she returned as a Registered Dental Hygienist. Tammy has an extraordinary demeanor with her patients and contributes to the soft tissue management program here at Advanced Dental Care. Tammy lives in Lyons Falls, NY with her husband John and is the proud mom of Morgan, Hannah and Michael. Tammy is also the proud grandmother of 8-year-old Lili! Growing up in Willamson, NY, Stacy graduated from Williamson Senior High. Stacy then attended college and received her A.O.S degree. After college she moved to Lowville, NY. Stacy in the medical field for several years and then decided to change careers and work in the dental field. Stacy attended Monroe Community College where she graduated with honors. After graduation she passed the Dental Assisting National Boards and received her Certified Dental Assisting (CDA) and Registered Dental Assisting (RDA) credentials. Stacy is a very dedicated employee, she is always eager to help whenever or wherever she is needed in the office. As Dr. Pominville's assistant, Stacy assists with all aspects of patient care and presenting treatment. Stacy especially enjoys doing lab work, oral surgery and working with the CEREC designing same day crowns and surgical guides for implant placement. Stacy's family includes her husband Chris, a PE Teacher at Lowville Academy and Central School (LACS). Their son Bryan who is in his 7th year of the United States Air Force in Pensacola, Florida. And their daughter Haley, who just received her Bachelor's Degree in Psychology from SUNY Canton. Over the past few years Stacy has developed a passion for cycling and has competed in four sprint triathlons over the summer of 2017. Stacey joined our team here at Advanced Dental Care in April 2009 after she made a career change to be closer to her family and home! She graduated Monroe Community College with honors receiving a Certificate in Dental Assisting (CDA) in 2013 and passed her Dental Assisting National Boards (DANB) becoming a certified assistant in 2014. She has been trained with our CEREC machine developing single visit crowns, implant surgical guides and implant crowns. Stacey enjoys assisting Dr. Pominville in all procedures, especially CEREC cases. The highlight of her day is seeing the look on her patients face. Her energy and contagious bright smile light up the office that makes for a great working environment. Stacey lives in Lowville, NY with her husband, Fred, his son Travis, who is a graduate from Carthage Central School and in the United States Air Force and their son 13-year-old Trevor, who attends Lowville Academy and Central School! Stacey loves the outdoors and in her spare time she enjoys snowmobiling with her family.